According to Financial Times, Corporate Social Responsibility (CSR) is a business approach that contributes to sustainable development by delivering economic, social and environmental benefits for all stakeholders. Stakeholders include suppliers, customers, communities, employees, investors and society. 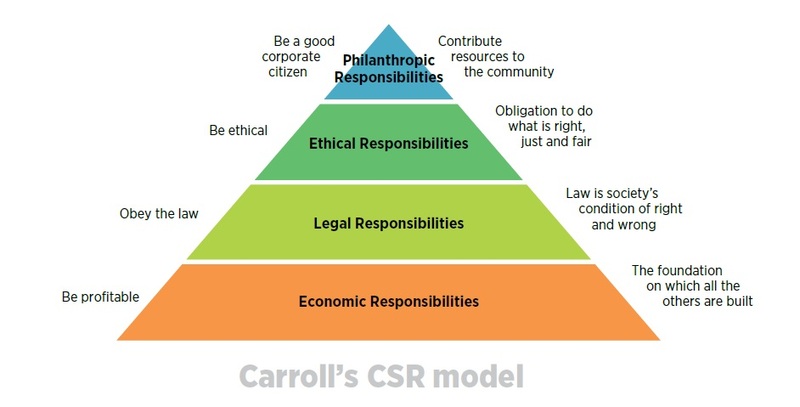 The World Business Council for Sustainable Development defines CSR as the continuing commitment by business to behave ethically and contribute to economic development while improving the quality of life of the workforce and their families as well as of the local community and society at large. In a similar vein, the ‘Triple Bottom Line’ theory devised in 1994 by John Elkington, founder of SustainAbility, a British consultancy, focuses on the concept of sustainability: economic sustainability, social sustainability, and environmental sustainability, taking into consideration the 3 Ps – People (e.g. employees and society), Planet (e.g. Mother Earth and her environment) and Profit (e.g. return to the investors/shareholders). 1. 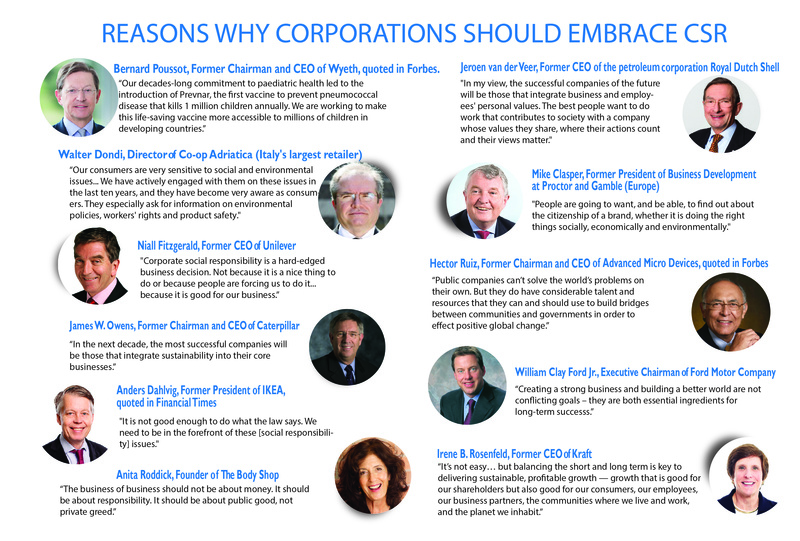 Economic Responsibility – The responsibility for a corporation to be profitable. 2. Legal Responsibility – The responsibility for a corporation to be law-abiding. 3. Ethical Responsibility – The responsibility for a corporation to do what is right (e.g. paying fair wages, being environmentally friendly, treating suppliers fairly, rejecting business dealings with oppressive countries). 4. 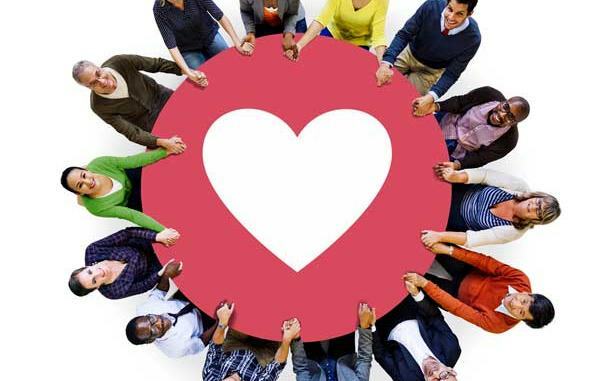 Philanthropic Responsibility – When the corporation has achieved commitment to the above responsibilities, then it can begin its philanthropic responsibility by engaging in initiatives that improve the quality of life for communities (e.g. 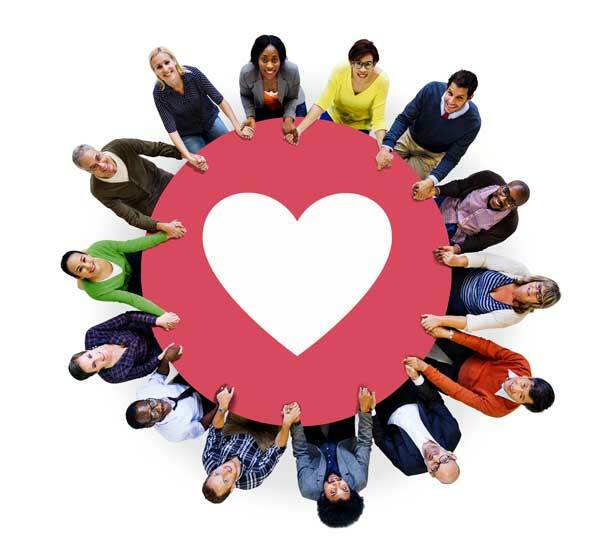 donating money to charitable causes or volunteering services to charitable organisations). Samsui Supplies and Services, a subsidiary of the Soup Restaurant Group, donates 2,000 non-profit meals a day or 500,000 meals yearly to the underprivileged in Singapore. Besides giving free meals, the sauce producer and distributor of food products also employs 12 to 20 trainees from the Movement for the Intellectually Disabled of Singapore (MINDS), who pack dry goods in its central warehouse. Samwoh Corporation was heralded the Green Champion at the Singapore Compact CSR Awards 2011 due to its green practices and its capability to win over the support of other stakeholders for its green sustainability construction. One of its green achievements tapped on adding recycled rubbers from scrap tyres to asphalt premix, which has been found by its research team to increase the flexibility of the road by minimising cracking; moreover, it also mitigates road noise. The organisation has two integrated construction waste recovery facilities in Sarimbun Recycling Park to recycle demolished concrete and other construction waste to be reused in the construction of roads. The region’s first three-storey Eco-Green Building constructed using concrete with up to 100% Recycled Concrete Aggregate (RCA) was officially opened by the Group in 2010 to accommodate its new office and research lab. Along with the Eco-Green Building, recycling facilities, including an asphalt recycling plant and a ready mixed concrete plant that can generate eco-concrete, are inaugurated in its Samwoh Eco-Green Park. Other than green initiatives, Samwoh believes in giving back to society and the value of a proper work-life balance. The Group regularly organises sports and recreational activities for its staff. Fuji Xerox Singapore, a global document solutions company, has in place a comprehensive environmental policy in 2003 that sets its sights on protecting the environment in its supply chain through eco-initiatives, including a “You Print, We Plant” campaign. The campaign pledges to plant trees in lieu of its paper products, while encouraging businesses to invest in FSC-certified paper. The policy has resulted in a reduction of 41% in C02 emissions, even though there was a 38% increase in total revenue in 2013. The winner of the Gold Award for “Excellence in CSR Practices” at the Human Resources Excellence Awards 2013 makes community work easily accessible to its employees, who volunteered to build homes for the people in Batam in projects like the Batam Build initiative. Additionally, the company donates S$2 to the Singapore Children’s Society for each customer compliment received. Greenpac is a provider of environmentally-friendly industrial packaging products and solutions that utilise recyclable sustainable materials to manufacture collapsible, reusable and returnable packaging designs, which help businesses mitigate waste and save costs. These eco-friendly packaging requires less water, reduces carbon footprint and contributes to keeping the supply chain “green”. The multimillion-dollar SME, started by Ms Susan Chong in 2002, also put together a workplace health and safety system and implements an inclusive hiring policy, including employing disabled workers and ex-offenders. RWS employs green strategies such as solar installations, tree conservation, erecting a water catchment, and an eco-friendly cooling system in the operation of its 14-hectare integrated resort. For instance, the largest solar installation in Singapore is situated in RSW’s Universal Studio Ancient Egypt zone, and some of its rooftops are planted with vegetated green roofs to lessen heat gain to buildings. The firm also discards waste by type, taking into consideration the 3Rs – Reduce, Reuse and Recycle. This effort has managed to procure a 32.9% reduction in waste and 50.8% increase in recycled materials by weight in 2015. Under its “RWS Cares” scheme, some 1,200 RWS employees have volunteered 14,700 hours in mentorship programmes, engagement activities and philanthropic efforts that improve the lives of over 9,000 underprivileged children, youth and elderly in 2015. Foodxervices Inc, Singapore’s leading food distributor, launched a charity, Food Bank Singapore Pte Ltd, whereby corporations and individuals can deposit and donate their food surplus, which will then be relocated to the needy in 130 member beneficiaries, including family service centres, soup kitchens, homes, and Voluntary Welfare Organisations (VWOs). In addition, Foodxervices Inc is an authorised distributor of iLite Stevia, a close to zero glycaemic index natural sweetener that is ideal for diabetics. The firm is trying to introduce products that make the marketplace better, said Nichol Ng, Managing Director of FoodXervices Inc, in a press release. On April 12, 2016, the firm announced the initiation of Xolutions, a division that hopes to assist food and beverage (F&B) establishments in revolutionising and improving efficiency in their F&B outlet operations, through solutions such as food safety training, innovative apps and drones. One Woman’s Battle With Eczema and ‘Topical Steroid Addiction’?